As the ABK Group provides both housing and a school, many students will experience not only their school life, but also spend most of their time out of the classroom on our facilities. We put emphasis on providing learning and interaction opportunities in the spaces outside of the classroom and school. At ABK's café terace, lobby, basement hall, and table tennis area, students can enjoy sharing information or working on homework, as well as playing games like table tennis or Chinese chess. At the resource corner, students can find information on University and Graduate School entrance requirements, past exam questions, exam reports written by past students, and more. In addition, documents on hospitals, city offices, embassies, and other regional information are also available. If you have any questions, you can feel free to ask for help from our office. 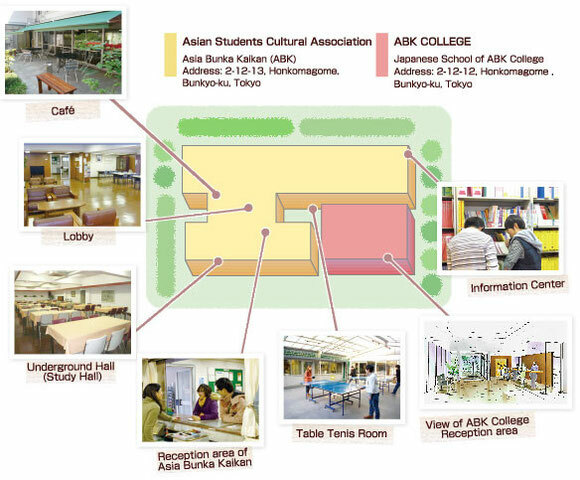 The ABK Group exists to provide support and reassurance for your student life.